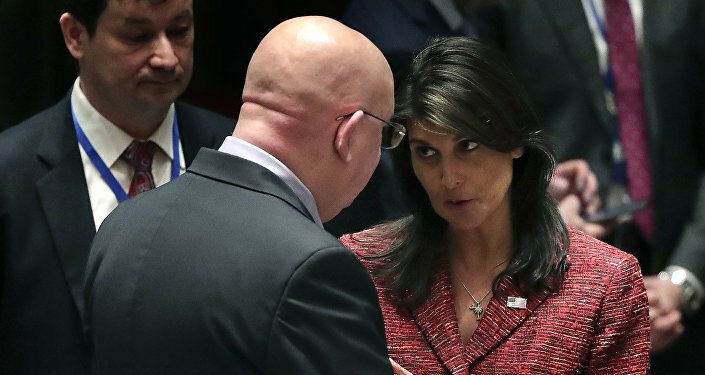 "This operation was aimed at reducing the ability of Damascus to use chemical weapons, the United Nations' investigation of the chemical weapons use was impeded by Russia. This is a clear signal to the Assad regime, Russia and Iran," NATO Secretary General Jens Stoltenberg was quoted as saying by the Turkish NTV channel. He also noted that NATO does not oppose a political dialogue with Moscow. "We were pleased to receive the support that was provided to this operation from Turkey," the NATO Secretary General reportedly stated. To find out more, watch the Sputnik Live. On April, 14, the US, the UK and France launched rocket attacks on Syrian government facilities which they believe are used to produce chemical weapons. From 3:42 a.m. to 5:10 a.m. Moscow time they released over 100 missiles on Syria, most of which were shot down by Syrian air defenses. The Russian forces were not involved, but they monitored all the launches. Russian President Vladimir Putin has described the attacks as an act of aggression against a sovereign state, despite the fact that neither Russian military experts nor local residents confirmed the fact of the chemical attack, which was the pretext for strikes. "It is a sovereign right for NATO member countries to decide which defense system the country will have. The question is whether these systems can be integrated," NATO Secretary General said, according to the NTV channel. Turkish President Recep Tayyip Ergodan had earlier reaffirmed that Ankara is determined to purchase Russian S-400 Triumf air defense systems despite the new US Anti-Russian sanctions against the state arms exporter Rosoboronexport. The Russian-Turkish cooperation on S-400 deliveries has been subject to criticism by the North Atlantic Treaty Organization (NATO) and the United States, which have cited security concerns and the inability to integrate the S-400 and NATO's air defense systems. Ankara, in turn, has said that purchase of military equipment is its sovereign affair.